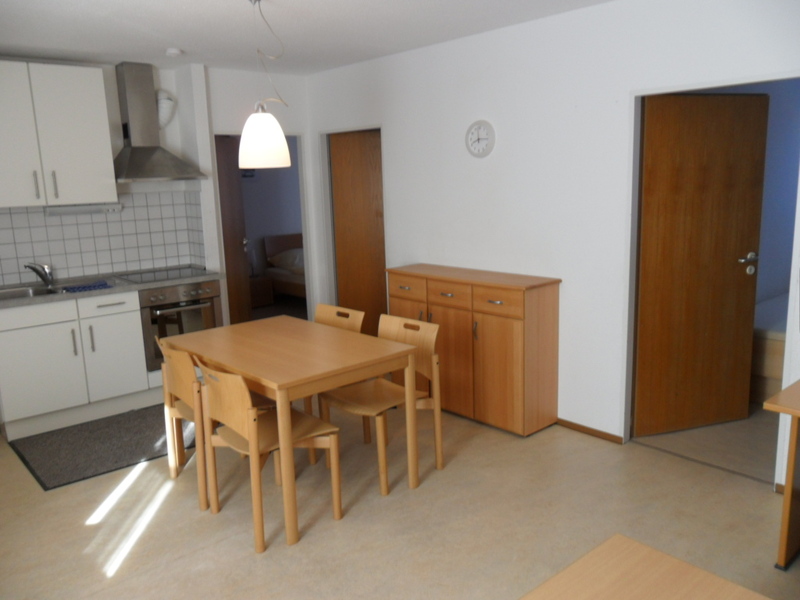 The cities of Erlangen, Fürth and Nuremberg offer a very good standard of living. They are popular places to live, meaning that accommodation is in high demand but often in short supply. This is particularly the case during the period before the start of a new semester. 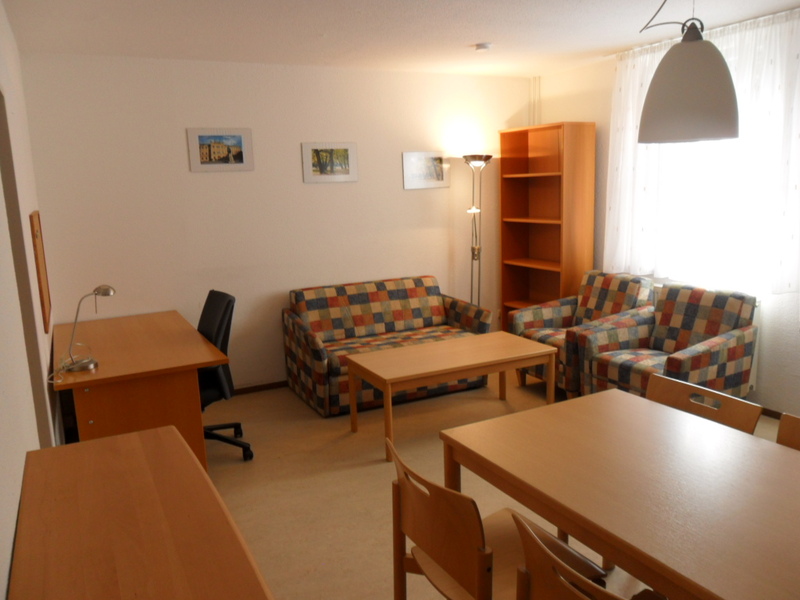 We therefore recommend that you start looking for accommodation as soon as possible. If you are a little flexible and also look in the surrounding area, you will have a better chance of finding somewhere affordable to live. The region has an excellent public transport system, so you should not have any problems getting to your place of study or work. It is worth checking the accommodation available on the internet every day, as new accommodation becomes available on a day-to-day basis. It pays to be flexible when it comes to the price and location of your accommodation and what facilities are available. If you are unsure whether an offer is legitimate or if it is not possible to communication with the landlord in English, please contact the Welcome Centre who will be happy to help you. You can find general information about looking for accommodation and signing a rental contract on accommodation page under information for international applicants. Much of the information available on this page is also relevant for doctoral candidates and researchers, however, public student accommodation is only available to Bachelor’s degree and Master’s degree students. 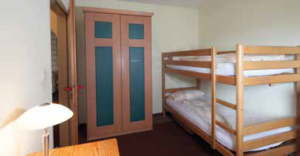 Our guest houses provide rooms for guest researchers from both Germany and abroad for the initial period of their stay to allow them to feel at ease right from the start and to concentrate on their research. 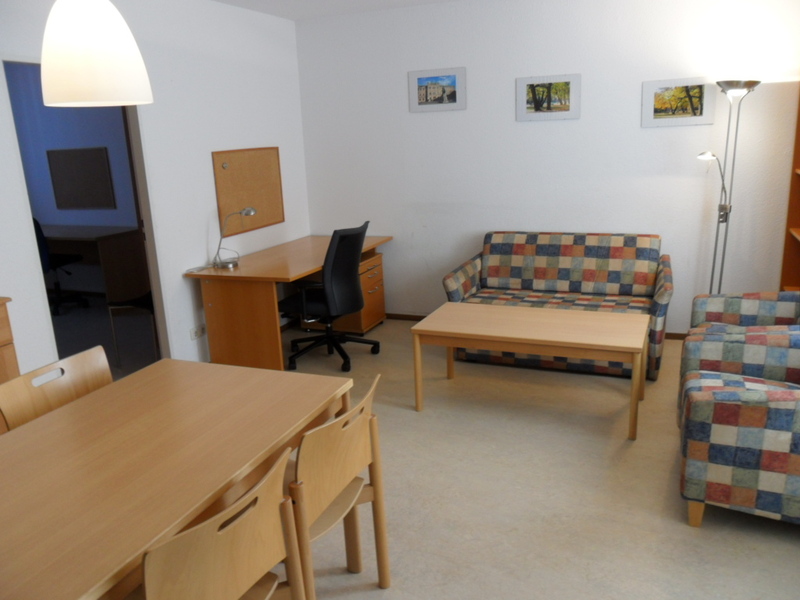 For queries or reservations, please send an email to uni-gaestehaus@fau.de. All apartments are fully furnished and equipped with cooking facilities including pots and pans, crockery and all necessary household appliances. 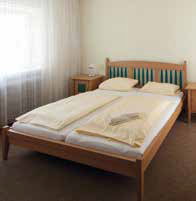 Bed linen and towels are changed and rooms are cleaned every fortnight. The guest houses are equipped with washing machines and tumble dryers. The common rooms are a great place to meet other residents and have a chat or cook, eat and drink together. TV, internet and phone connections as well as parking spaces are also provided. You can easily reach all our guest houses by public transport. 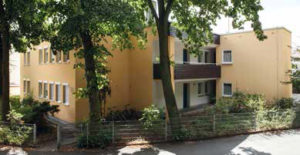 The complex is located at the foot of the Erlangen Burgberg and offers a playground in the garden area. It is thus well suited for families. Once a year, at Whitsun, it is right in the centre of activity when the traditional Bergkirchweih, one of Germany's most visited beer festivals, is held here. The two International Meeting Centres (IBZs) are located off Erwin-Rommel-Straße in the green suburbs of Erlangen and close to the university's southern campus in two buildings with a unique heritage. The Faculty of Engineering, some of the institutes of the Faculty of Sciences and the University's sports facilities are within easy walking distance. The bright and welcoming common room with kitchen in Building 61 is open to residents of both buildings and is highly popular venue for parties and private functions. Outside there is a playground and an outdoor seating area. The UniKate at Röthelheim Campus, a listed building in the grounds of a former artillery barracks, is undoubtedly the showpiece among FAU's guesthouses. It was purchased with funds from the Hans-Wilhelm and Helga Schüßler Foundation and has undergone complete refurbishment. The foundation aims to further the exchange between researchers from all over the world, which was also the motivation for acquiring this guesthouse. 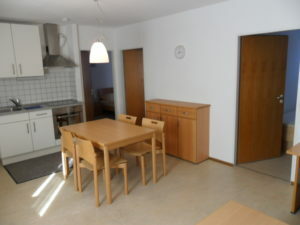 The name given to this guesthouse by the donors – UniKate – is a combination of the abbreviation for ‘university’ and the German for a cottage (‘Kate’) and is also a play on the German word for ‘one-off’ (‘Unikate’). 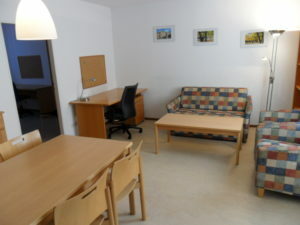 Several supermarkets, medical centres, university institutes and restaurants are within easy walking distance of UniKate. Unfortunately, the University’s guest houses cannot accommodate all international doctoral candidates, staff and guest researchers. They are sometimes fully booked months in advance. In this case, you need to search on the regular housing market. Please contact Mrs Mielenhausen for support.